There are lots of parts on a construction site, but trusted trades keep it all moving. It’s more than the time line, or the budget. The space has to be built right. 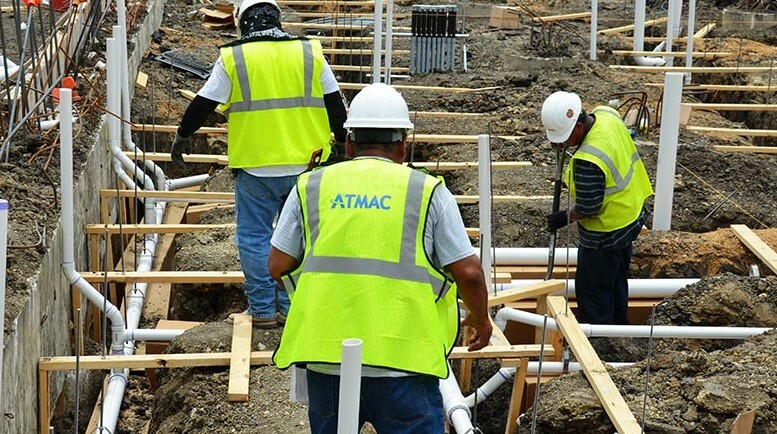 For plumbing, process piping, HVAC equipment and duct installation, ATMAC Mechanical brings the right skills and tools to the construction site every day. Experienced plumbers and qualified HVAC techs get the job done right and on time, even when the specs change or the schedule shifts. Estimators and construction managers need to balance quality with cost, and ATMAC knows that. On-site safety is paramount. ATMAC Mechanical works with an outside safety consulting firm to make sure every jobsite is operating in compliance with OSHA standards at all times. We stand behind the work, because it’s our best work. With plenty of bonding capacity and insurance coverage, nothing less than the best will do.